Rachel Henson read Geography and Social Anthropology at the University of Edinburgh and has a Masters in Forced Migration from the University of Oxford. She later converted to law and was awarded a distinction in the Legal Practice Course at London Metropolitan University. She joined the firm in 2010 and qualified as a solicitor in 2015 having completed training seats in our Immigration and Public Law departments. Prior to joining Wilson Solicitors, Rachel spent 6 years Refugee and Migrant Justice as an Appeals Caseworker and as a Legal Officer. At the RMJ, she provided advice and training to other casework staff within the organisation and also prepared and presented appeals before the First-tier Tribunal and the Upper Tribunal. She has previously worked at King’s College London for ICAR (Information Centre about Asylum and Refugees) and for Student Action for Refugees. Rachel focuses particularly on asylum and human rights work and is a qualified supervisor. 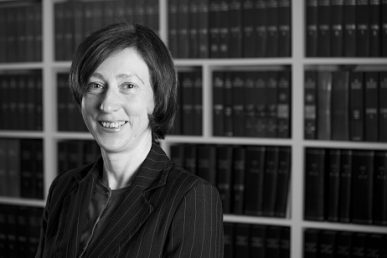 She has particular experience of preparing complex asylum cases, including criminal deportation, representing immigration detainees and vulnerable clients, including survivors of torture and other human rights violations and individuals with mental health problems. Rachel was the farsighted duty solicitor in this case and this is typical of the strategic strengths that she brings to her cases. She is a member of the Haldane Society.